Are MAC cosmetics vegan? Many women who are interested in vegan cosmetics wonder if this famous makeup brand is a carrier of vegan cosmetic options. The answer to this question, however, isn't exactly a straightforward yes or no when it comes to their entire makeup line; different products are made from different ingredients. Are MAC Cosmetics Made from Vegan Ingredients? 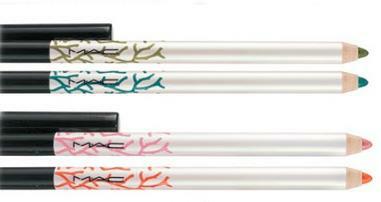 MAC is a very popular brand of cosmetics; their products offer high quality and an incredible range of colors. From their versatile pigment pots to their range of pressed powder shades, it's easy to see why women have a weakness for MAC. Many women love the gorgeous shades and range of products, and this company is often listed as vegan. But is this true? The short answer is no - MAC is not a vegan company. They do, however, have a number of cosmetics that are vegan. MAC also supports the environment, offering a recycling program called Back 2 MAC, and has a large humanitarian effort in the fight against HIV/AIDs. To obtain a full list of the vegan safe products, including lists of products that do not contain carmine, lanolin, or beeswax, simply contact the MAC customer service department at 1 (800) 588-0070. LoveToKnow received the product list within approximately one hour of contacting the company, but since the lists are designed for individual use only it cannot be published here. The representative will send a list free of charge by email or snail mail. You can also request a list of which Mac cosmetics are vegan by filling out their contact form at MAC customer service, or by visiting a MAC makeup store near you. Vegan cosmetics are makeup and beauty products that contain absolutely no ingredient derived from any animal source, including animal byproducts. Unfortunately, sometimes lists of vegan cosmetics, especially on the Internet, are not really vegan at all - but are lists of beauty products that have not been tested on animals. It's important to know what ingredients are not vegan, so check the ingredient lists to be sure the beauty product you are purchasing is safe. Paula Beguon, the Cosmetic Cop, has an incredibly extensive list of cosmetic ingredients listed on her website, so you can check specific ingredients and find out exactly what they are consist or and are derived from. A Consumer's Dictionary of Cosmetic Ingredients. Some ingredients, such as glycerin, can be derived from plant or animal sources, so many vegan women prefer to buy cosmetics from companies that specifically affirm their use of only vegan ingredients. You can often contact a specific company and request a list of vegan products or complete ingredient information, as you can with MAC. Urban Decay: A cruelty-free cosmetic company with a certified vegan product list. Vegan Essentials: Vegan Essentials offers several vegan makeup products, including foundation, blush, mascara, and lipstick. Origins: An organic company, they offer a variety of vegan makeup products. (Contact customer service for a full list). Ecco Bella: Along with a full range of beauty and skincare products, Ecco Bella offers organic vegan makeup. Sevi Cosmetics: Earth and vegan-friendly beauty care. For many women, It is very important to use vegan cosmetics. By using the vegan cosmetics that MAC offers many women feel as though they are doing their part to help the environment and stay true to their beliefs -- without sacrificing the high-quality makeup they love.